Wouldn't it be wonderful if you had the option to engrave the iconic barcode on your ring? AuGrav lets you do just that with the Diamond Barcode Ring. The perfect accessory for your wedding, this customized ring can dazzle any onlooker due to its unique and quirky barcode pattern. Three round diamonds embellished on the ring flawlessly accentuate the funky design of the gold band. 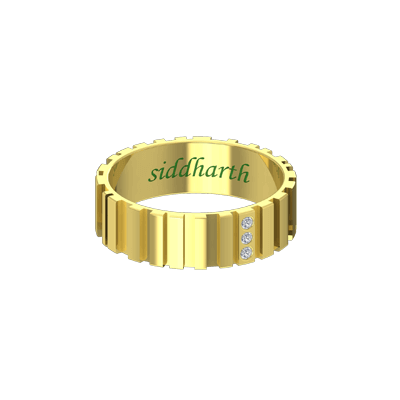 Moreover, you can even personalize the ring by engraving your name on the inside! 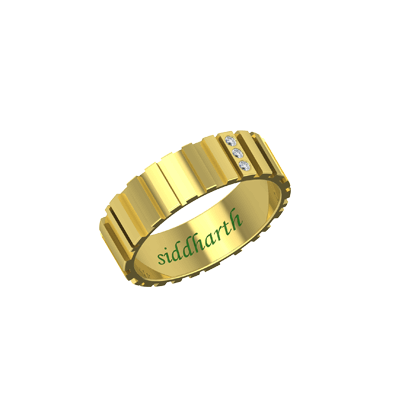 Diamond Barcode Ring With Name Inside Overall rating: 4.7 out of 5 based on 235 reviews.